We collect users' questions and list them here as a knowledge sharing section. Do I need to install Adobe Acrobat before using TinyPDF? Is it legal to use TinyPDF rather than Adobe Acrobat to create PDF files? Where is the FREE PDF Merge Plug-in? Does TinyPDF work on 64-bit Windows? Is TinyPDF compatible with Windows 10? Is GhostScript used by TinyPDF? Can I set up TinyPDF as a shared printer for other computers? Does TinyPDF support Citrix and Microsoft terminal server environment? Can I uninstall TinyPDF? If yes, how? Which operating systems do TinyPDF support? Windows Vista included? Is TinyPDF FREE for commercial use? How can I find TinyPDF help file or user's manual? Can I use password to protect a PDF file? Why part of the TinyPDF print driver UI is grayed out? How can I expect more features from TinyPDF? Can I print an image to PDF file? We respond to all your questions within 24 hours! And it's totally FREE! Yes it’s free for both personal and non-commercial use. No adware, No spyware, No malware, No watermarks, No popup. TinyPDF installs itself as a virtual printer in your Printers and Faxes folder. 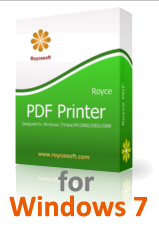 Print any document to this TinyPDF printer as you usually print to an Inkjet or LaserJet printer, and you will get a PDF file in the name and location of your preference. 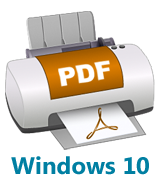 PDF is the de facto standard for desktop publishing and electronic delivery of documents. TinyPDF is a stand-alone Windows application that does not need Adobe Acrobat. Of course, it's legal to create PDF files with TinyPDF or any other 3rd-party software. Adobe PDF is an open standard. TinyPDF generates PDF files fully compliant to Adobe PDF specifications. The FREE PDF Merge Plug-in enables you to merge PDF files upon conversion. When you convert your document to PDF, and if the destination PDF file already exists, TinyPDF (with PDF Merge Plug-in installed) would ask you whether to append the conversion result to the existing PDF file, or insert the conversion result at the very beginning of the existing PDF file, or just overwrite the existing PDF file. Download this 100% FREE PDF Merge plug-in now. TinyPDF works on 32-bit Windows only. If you need PDF Creation software that works on Windows 64-bit , I would suggest AcroPDF to you. Is TinyPDF compatible with Windows 8.1? Windows 8.1 has two editions, one is 32-bit, and the other is 64-bit. TinyPDF is compatible with Windows 8.1 32-bit, however, it doesn't work on Windows 8.1 64-bit. We have plan to support Windows 64-bit in the future. However, for the moment, if you want to create PDF files on Windows 8, try AcroPDF. GhostScript is open-source software. TinyPDF does not use nor leverage the code of GhostScript in case not to get involved into the copyright issue. An uninstaller is included in the TinyPDF download, whose size is 586KB. After installation, you get an uninstall entry in Start->Programs->TinyPDF->Uninstall TinyPDF. Click this, and TinyPDF software along with the print driver will be removed. Windows 8, Windows 7, Windows Vista, Windows XP, Windows Server 2003, Windows Server 2003 R2, Windows Server 2008, Windows Server 2008 R2, Windows Server 2012. All languages, and all editions are supported. No. TinyPDF is FREE for personal use only. If you want to use TinyPDF in a commercial or business environment, please purchase TinyPDF Commercial License. For more information, contact our sales team at tinypdf@tinypdf.com. No. If you want to password protect your PDF file, you can consider using Real PDF Creator software. To make TinyPDF smaller, some features are removed from TinyPDF as compared to RealPDF series products. If you are looking for all the advanced features that are not included in TinyPDF, you can consider Real PDF Converter software. Yes. You can print your image from any image viewer to this TinyPDF printer, and you will get the PDF file as the conversion result from image to PDF.